Adam Conn is a decorated industry veteran with a story to tell. 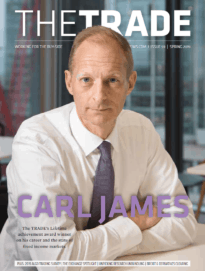 Having worked on both the buy- and sell-side throughout his 30-year career, he has become one of the most influential buy-siders in Europe and a community voice of the profession. Recognising this, The TRADE handed Conn the coveted Lifetime Achievement award at its Leaders in Trading awards ceremony in October. As an award that occasionally goes to an individual near the end of his career, Conn was very quick to assure us that his journey still has a way to go yet as he takes Ballie Gifford into the new post-MiFID II world as head of trading for the asset manager. Conn started from the bottom – as he described it – but has earned his way to the top through his work and reputation. He points to his mentors and the opportunities to have worked for buy- and sell-side firms as having enabled him to build up his expertise and stature within the industry. He started life in the industry as a Blue Button on the floor of the London Stock Exchange with Scott Goff Layton & Co just before the Big Bang. A tough but enjoyable role, Conn says he learnt a lot during his time there. He oversaw the UK dealing business and over time took on a more senior role in London. By 1991, Conn had moved to Hong Kong with GT to re-establish a buy-side trading desk where he says it took time to adjust to the different cultures, but this was something Conn says he relished. In 1994, GT Management was in the process of being taken over and Conn spent some time on the sell-side before moving back to London in 1998, working for Instinet Europe, which was very much at the forefront of electronic trading at the time. It was during this time Conn worked for Judy Dewinter, a very influential woman in the industry who made her mark on his career. He describes her as ‘the ultimate boss’ and that it was a sign of the times working for such a powerful individual who was a woman. “That was the first time I worked for a woman and women were certainly becoming more successful in the industry, which I view as a very significant moment in my career,” Conn adds. He left Instinet in 2004 after speaking with Atticus Capital, a client of his at Instinet, who approached him to join the firm as they looked to establish a trading desk in London. Conn says the move was amicable and he considered the opportunity a fresh challenge. He joined as a European trader and within a year he was invited to become global head of trading. Following the global financial crisis, Atticus Capital split its businesses and Conn departed to join Barings Asset Management, before moving to Edinburgh to work at Baillie Gifford in his current role. “It hasn’t been too nomadic but it has been an interesting career,” Conn says. Conn gave a rather moving acceptance speech at The TRADE’s Leaders in Trading awards ceremony at the Savoy Hotel in London. He mentioned the meritocracy of the industry as being something he has always admired and respected. “At Leaders in Trading it was great to see the younger end of the spectrum, certainly there’s equality and diversity which I think is just great,” Conn says. Conn, like any other senior buy-sider, has his views on the MiFID II regulation although he takes a more positive slant than perhaps others would. He believes it’s an opportunity and the general premise of transparency is one that should be applauded. Conn says he has been encouraged by the pragmatic approach regulators have taken to ensure that whilst there’s transparency in the industry’s processes, there is an understanding that transparency in trading is not always a good thing. 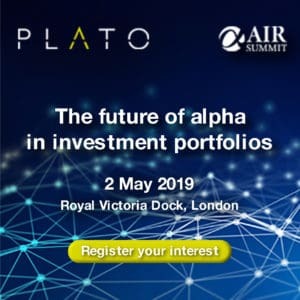 “Probably the biggest take-away of the last two years has been the way that different parts of the industry have collaborated to try and come up with sensible solutions that benefit the end investor. Yes we have dark pool caps and we may all have our different views on those, but we do have a structure and it’s interesting to see how firms are looking to address the way we will be trading equities moving forward and doing so in a compliant fashion,” Conn says. Speaking to some of his trading counterparts, bodies like the Investment Association and his head of trading peers, Conn is confident there are sufficiently smart people out there to ensure the industry will end up with a market structure where clients aren’t disadvantaged, something he says is his biggest fear. Conn considers navigating that new market structure and the rise in passive investing as other challenges for the buy-side at the moment. “We have to be sure we have access to sufficient liquidity and have to be open to change; I think that’s probably the biggest thing. The buy-side must be prepared to adapt to a new paradigm and those firms who are more prepared to embrace change I think they will benefit, whether that’s change through technology or the way people do things. It’s difficult to tell but I think if a firm has the right ethics and ability to embrace change they will be in a strong position,” he says.